Recently, a new iPad by Apple has launched with a 9.7-inch display and pencil support. The iPad was launched at an educational event held in Chicago. It was already expected that Apple's iPads will come at a reduced price and that came true in this one. The new iPad comes with a price tag of just $299 (for schools). Here are the rest specifications of the iPad. The newly launched Apple's educational iPad features a 9.7-inch Full HD+ display with a resolution of 2048×1536 pixels. It comes with a metal body and smooth and stylish design. 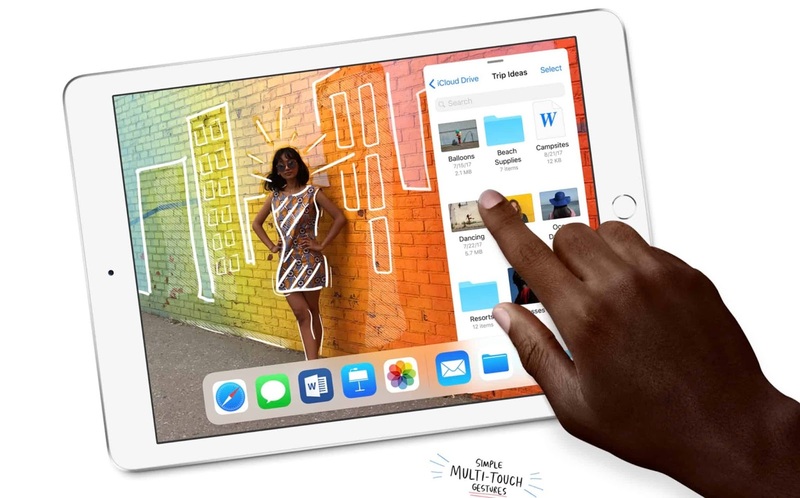 The iPad comes in three different color varieties including Gold, Silver, and Space Gray. Under the hood, the notepad comes with the Apple's latest iOS 11 operating system which also supports AR apps and more educational stuff. The all-new iPad is powered by the Apple A10 fusion processor. The notepad comes with up to 200GB of iCloud storage. It is available in two variants varying with 32GB or 128GB of internal storage. Looking at the back there is an 8-megapixel camera and a 1.2-megapixel front-facing HD FaceTime camera. Apple also claims that the long-lasting battery of the iPad will work up to 10 hours of web surfing. 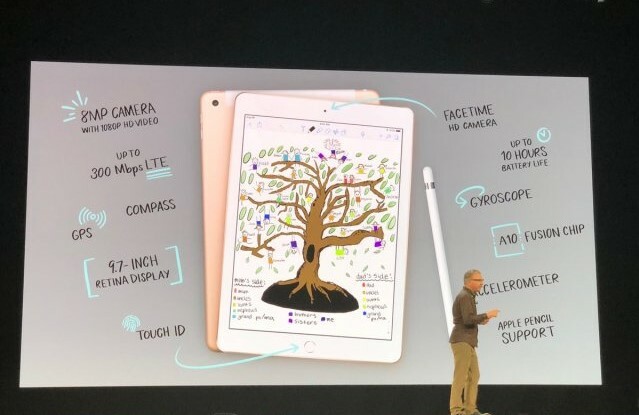 The device also supports the Apple Pencil which is a choice to buy. The pen costs the same $99 commonly and $89 for school students and teachers. This iPad is made with focusing on the educational purpose so it also comes with many pre-installed useful educational apps. The iPad also supports Touch ID on the home button which is below the display. Additionally, the new iPad comes with all the sensors like accelerometer, gyroscope, etc. and have connectivity options like Wi-Fi, Bluetooth, GPS, headphone jack, etc. The dimensions of the iPad measure 240 × 169.5 × 7.5 mm and weigh 469 grams. The Apple iPad will be available in India from April 2018.